Well, 1st I'd like to welcome you Pat!!! Crossroads builds a nice product and I believe you will be very pleased with the unit you have bought. Like any RV they will have a few issues within the first couple camping trips. You can negate this by doing a real thorough walk-thru with your dealer at pickup. Be sure to test all appliances, water/propane systems,inspect cabinets, trim, audio system, check exterior, etc. This will ensure anything that needs attention get's it before you leave the dealer's lot. Welcome to the forum and enjoy, if you have any questions just ask. We can usually give pretty good ans. 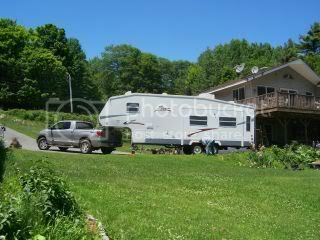 and if not we can keep a post going.lol Enjoy your new camper and lets go camping. Welcome to the forum Pat. I have a feeling you will be happy with your choice. Just make sure when you pick it up, that the walk thru dosen't get rushed in any way. Welcome to the CrossRoads Community! Be sure to share pictures after your pickup! Hello Pat! Welcome to the site. We have the same unit as you just acquired and think it is great. 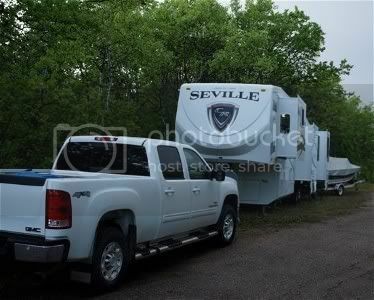 From our experience (this is #3 RV for us... a Jayco, Challenger and now the Seville) this unit is by far the best we've had. It's construction, layout and towability are excellent. We had a problem with our air conditioning unit just after we got it. 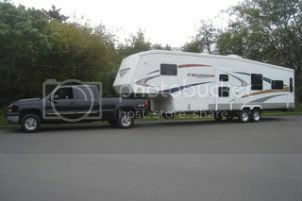 The dealer and company stood behind us and replaced the unit. Other than that things have been great. Hope you have many happy trails! Well got the unit and all set up just had one problem locked myself out dead bolt on lock defective but eveything seems fineand whenI get a pic i will post it thanks again this is very nice getting to talk peoplethat are into the camping life.